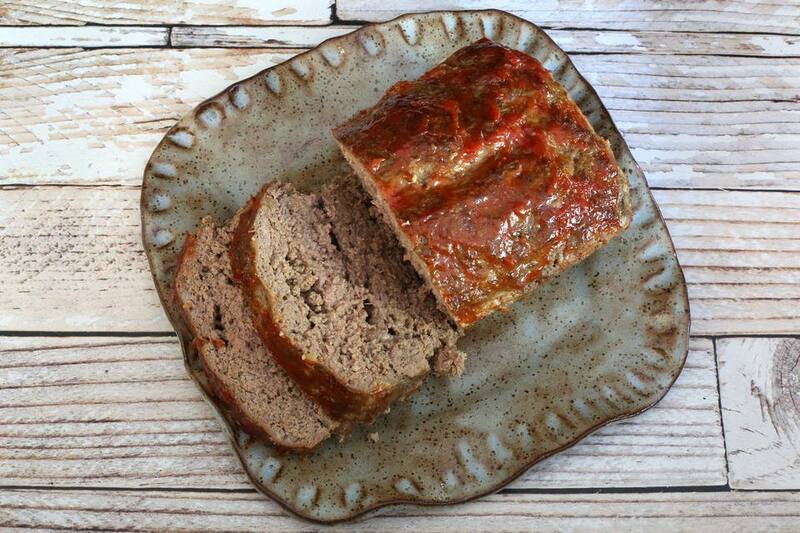 This Heinz 57 meatloaf is a vintage recipe shared by Connie. The meatloaf is a simple combination of ground beef, seasoned crumbs, and purchased Heinz 57 Sauce. The sauce is also used to top the meatloaf. If you don't have Heinz 57 Sauce, see the tips and variations for a homemade version. Heat the oven to 350 F (180 C/Gas 4). Line a rimmed baking sheet or pan with foil. In a large bowl, combine the ground beef, beaten egg, bread crumbs, onion, milk, 1/4 cup of Heinz 57, salt, and pepper. Shape the meat mixture into a loaf and place it in the prepared pan. Bake in the preheated oven for 1 hour (see note). Carefully pour off excess grease and top with more Heinz 57 Sauce. Return the meatloaf to the oven to 10 to 15 minutes longer. Connie's Note: I only bake mine for 45 minutes and it seems fine. This is a very good meatloaf. Sometimes I put some sauce on the top before baking. Add 1/4 cup of finely chopped bell pepper along with the onion. Homemade "Copycat" Heinz 57 Sauce: In a bowl, combine 1/2 cup of ketchup, 3 tablespoons of Worcestershire sauce, 1 tablespoon plus 1 teaspoon of prepared mustard, 2 teaspoons of lemon juice, and a few drops of Tabasco sauce. To make homemade bread crumbs, cube a few slices of bread. Spread the cubes out on a baking sheet and bake in a preheated 325 F oven for about 12 to 14 minutes, or until they are dry and lightly browned. Crush to make fine crumbs. Season with garlic powder or Italian seasonings, if desired. "This is similar to my mother's recipe when I was growing up. One day I really wanted meatloaf so I looked it up and found this recipe. This was at least 10 years ago and it's still the only recipe I use." — C.S. "My family loves Heinz 57 sauce, but I never thought about putting it in meatloaf! I added green pepper and used garlic pepper instead of just black pepper, and it was wonderful!" — S.M.